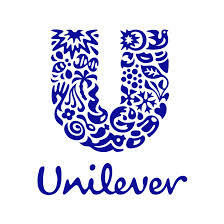 Unilever is a global multinational and fast-moving consumer goods (FMCG) company with products sold in over 190 countries and more than 2 billion consumers across the world who use our amazing products everyday! As the number 1 FMCG Employer of Choice among students in 26 countries, we are constantly in search of dynamic future leaders with creativity, a passion for excellence and the desire to make a difference every day. Could this be you? Are you a young dynamic individual seeking expression? Would you you like to be a part of a global company with offices in over 190 countries? Are you passionate about the environment and sustainable living practices? Then this internship is for you! A university undergraduate in your 2nd, 3rd or 4th year(excluding final year student) or a recent awaiting National youth service. Have a CGPA of 3.0 and above. Below 26 years of age at the time of application. Posted on January 21, 2015, in Africa, Career, Gender, Women, Girls, Internships, Opportunities and tagged Unilever, UNILEVER LEADERSHIP INTERNSHIP, UNILEVER LEADERSHIP INTERNSHIP PROGRAM, UNILEVER LEADERSHIP INTERNSHIP PROGRAM FOR NIGERIANS, UNILEVER NIGERIAN. Bookmark the permalink. Leave a comment.